Health care company Johnson & Johnson has appointed Jyoti Jain (pictured) as advanced analytics director of its APAC division. Jain joined from Mondelēz International where she most recently served as associate director of strategy. Marketing has reached out to Mondelez for a comment on Jain’s replacement. Based in Singapore, Jain will in this new role report to Ravi Parmeswar, VP, GSI & analytics. Jain is tasked to drive fact-based decisions making to deliver business results by leveraging explanatory and predictive models, and J&J’s global eco-system of best-in-class analytics. Jain will cover J&J’s consumer division franchise across Asia Pacific. 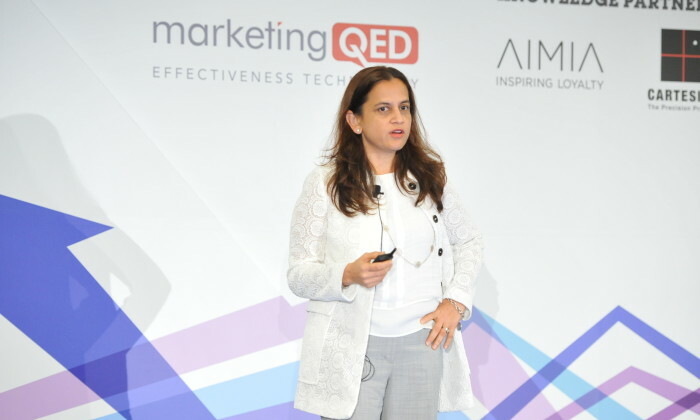 Jain joined from Mondelēz International where she most recently served as associate director of strategy. Prior to Mondelēz, she was associate manager, Quaker foods and snacks, at PepsiCo. Before that she was at Information Resources where she served as director for over eight years. Ogilvy has promoted Matthew Nisbet and John Koay to the dual position of co-executive creative directors in Hong Kong. The appoint..
Filipinos are cutting back on groceries, skipping the hassles of cooking at home to eat in fast food restaurants or buy cooked mea..
Havas Worldwide has appointed Dan Gibson, current managing director for Host Singapore, to concurrently lead Havas Worldwide Singa..